To understand the severity of a flaw you need to understand the extent to which it can be exploited. With software becoming more and more complex so does the difficulty of securing it. 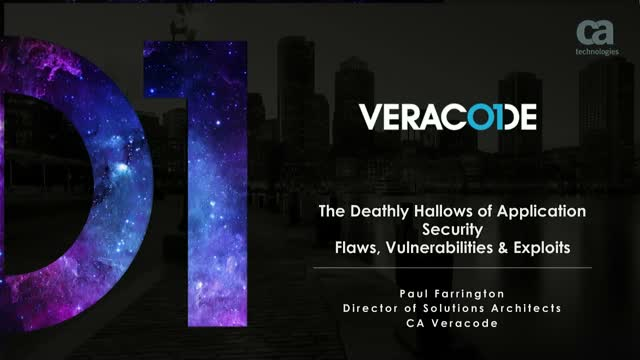 Join Paul Farrington, Director of Solutions Architect @ CA Veracode for this live webinar, where he will explore the distinctions between various security flaws and how you can combat them. You will leave the session understanding how to identify and address risk factors, how attackers exploit vulnerabilities & the extent to which organisations rely on AppSec technology to secure the SDLC.